“The Last Chronicle of Planet Earth” February 9, 2011 Edition is now ready for you to download for free. Please note, the download may take some time to download but it will come up. The speed will depend on your computer. Prophecy Sign: Matthew 24:6-8 “You will hear of wars and rumors of wars, but see to it that you are not alarmed. Such things must happen, but the end is still to come. Nation will rise against nation, and kingdom against kingdom. There will be famines and earthquakes in various places. All these are the beginning of birth pains.” Luke 21 11 also addresses the sign of pestilences. Do you remember in my past posts the reasons why the price of food in part will skyrocket? Knowing what Christ has said in His word I warned you to watch for the insects, based on His warnings. Knowing Jesus is never wrong, I knew I could count on this happening. Australia is back in the news again. They have been hit by massive storms, drought, fires, a category 5 cyclone, and a wave of locusts. Well, the locusts are back! 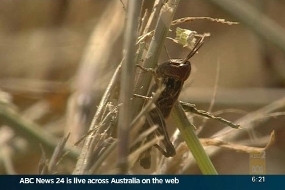 “Biosecurity SA says it is preparing for another small wave of locusts to hit parts of South Australia in the coming weeks as second generation hoppers begin reaching maturity. Locust numbers are expected to increase around the Barossa Valley, the lower north area and some parts of the Mallee region. Biosecurity SA's incident controller for the locust program, Michael McManus, says the presence of the latest generation of locusts was unavoidable.” If there is one thing I would ask from all of you is to believe what Jesus Christ says to you. If He warns of pestilence expect to see it happen in these last days. Looks like the Kuwaiti is next to go! “A key Kuwaiti opposition group on Monday demanded the ouster of the prime minister as youth activists called for a rally on March 8 to force the premier to quit. "The first step toward reforms is in forming a new government under a new prime minister that should be capable of running the country and reforming imbalances," said a statement by the nationalist Popular Action Bloc. The new government should combat corruption, safeguard the constitution and public funds, guarantee public freedoms and find solutions for unemployment and housing, the statement said. The bloc, headed by veteran former three-time parliament speaker Ahmad al-Saadun, is one of the most influential opposition groups in the oil-rich Gulf state. It only has four MPs in the 50-seat house but several backers. Prophecy Sign: Matthew 24: 7 (kingdom against kingdom). Here we go again, another nation has been added to the growing list of nations fighting against themselves. This time it is Croatia. After all this news, I can see how some are teaching we are already in the tribulation period, but this teaching is incorrect. First of all, there hasn’t even been a seven year peace covenant confirmed yet, and that is the first thing that has to happen which will show you the seven years has begun! If you notice, there is no new third Jewish Temple standing on the Temple Mount in East Jerusalem yet! 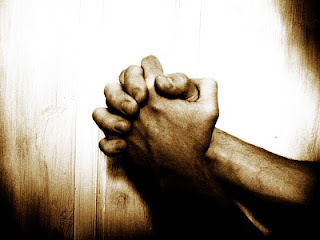 The tribulation has not started yet, but we are close! Prophecy Sign: In Luke 21:12 Jesus warns us to look for the sign of Christian persecution in the last days.”12But before all these, they shall lay their hands on you, and persecute you, delivering you up to the synagogues, and into prisons, being brought before kings and rulers for my name's sake”. Combine what Jesus warned in verse 12 with His warning found in Matthew 24: 37-39 concerning what the last generation would be like just prior to His second coming. In verses 37-39 Jesus shows us our generation would be just like that of Noah’s. This generation turned from God and followed their own lusts and became evil people. We know part of Noah’s generation troubles came on them when they turned to homosexuality. How do we know this? Notice that Jesus compared Noah’s day to Sodom and Gomorrah and then linked it to the time of his return. I quote our Lord. Luke 17: 25-30. “But first must He [Christ] suffer many things and be rejected by this generation. 26And as it was in the days of Noah, so shall it be also in the days of the Son of Man: 27They ate, they drank, they married wives, they were given in marriage, until the day that Noah entered into the ark, and the flood came and destroyed them all. 28“Likewise also as it was in the days of Lot: They ate, they drank, they bought, they sold, they planted, they built; 29but the same day that Lot went out of Sodom, it rained fire and brimstone from heaven and destroyed them all. 30“Even thus shall it be in the Day when the Son of Man is revealed.” Lot was living in a city that was full of people who had turned to homosexuality and what happened to that city? God wiped it out! This in itself should tell you something. Look, if Christ warned it would be this way again, and we are seeing it actually spread around the world, what part of the last days signs can’t you see? People are coming after the Christians on all fronts, and they are doing this because they can not live with the Lord’s doctrine nor His ways He set for us to live. Christ is being attack every day and here is another example of that. Prophecy Sign: Signs this generation is on the road to fulfilling Revelation 6:6 and Revelation 18:12. Let me ask you all a question? Do you think Christ has shown you something about the price of gold and silver in Revelation 18:12? I do! 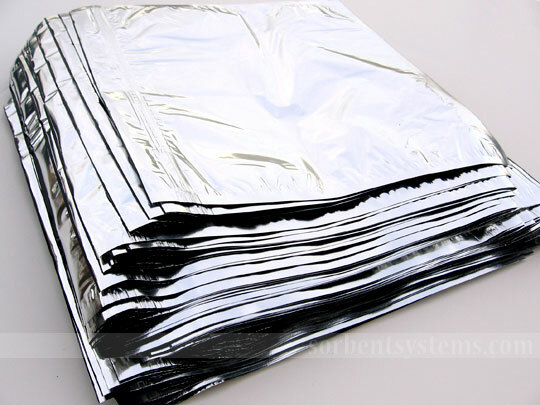 People will be weeping over these metals as God stripes them away from the people during the seven year tribulation. These items became more important to man than Christ. There is no doubt that the prices of gold and silver will keep climbing, the question is this, are you going to be around during the tribulation to see the Lord take these precious metals away from an unrighteous people or, are you going to be in heaven with Jesus when these things take place? If you are a unbeliever just watch what happens to these prices in the near future. Do you remember what Pastor Lindsey Williams said would happen to the oil prices? It appears everything he said to taking place. Watch his video and the news below. While Israel is confronting Palestinians who are launching rockets into Israel the call for peace and safety is still being heard. Last week this news broke about the peace talks. Considering the fact that the Lord shows us Syria will be wiped out by Israel don’t look for a peace deal to be completed with Syria anytime soon. Isaiah 17:1 and Jeremiah chapter 49 shows us Syria will be left in reins. Let’s put two and two together here. Syria and Iran are long time enemies of Israel. Both of these nations still do not recognize Israel as a nation. Syria just this past week has welcomed Iran’s war ships into their port, and they expect Prime Minister Benjamin Netanyahu to believe they turned over a new leaf for peace? I am sure Israel’s Prime Minister remembers the story about the Trojan horse! It would be a good Idea to read the article on the seven major prophetic signs of the Lord’s second coming. A link below will take you to seven things you should know about. After you read these seven, if you want complete details on each one you can download my book for free. The Grace Thru Faith site did a good job giving you a outline of these seven events. Here is another Pastor's point of view about what is happening in prophecy. Prophecy Sign: Kingdom against kingdom, (Matthew 24:7), and foot steps leading to Revelation 6:6. When the price of oil goes through the roof prices of everything will rise. This rise will be felt around the global and hit the poorest nations the hardest. Oil prices will rise the price of food even higher and cause more riots. Factors which will help bring on a global economic meltdown. Iraq's biggest oil refinery at Baiji, 180 kilometers north of Baghdad, was blown up early Saturday, Feb. 26, by an Al Qaeda cell activated by the Iranian Revolutionary Guards Al Qods Brigades, debkafile's Middle East sources report. Tehran is using the Middle East turbulence to generate fuel shortages in Iraq and boost oil prices worldwide. Thursday night, Feb. 24, saw the first signs of unrest in Saudi Arabia with demonstrations by young people demanding reforms of the kingdom's system of government and by Shiites living and working in the kingdom's oil-rich eastern regions. They demonstrated at Awwamiya in Qatif in solidarity with the protests in Libya and Bahrain. They also demanded the release of detainees rounded up by Saudi security authorities among the two million Shiites living and working in the main oil centers of Saudi Arabia to nip potential unrest in the bud. Friday, in the Red Sea town of Jeddah in the west, a group calling itself "Jeddah Youth for Change staged a demonstration. The slightest sign of unrest in Saudi Arabia, the world's biggest oil exporter, is bound to affect the price of oil. Iran is the biggest beneficiary of soaring prices. Day after day, as Arab capitals are beset by popular turbulence, Tehran is watching the damage caused its economy by international sanctions shrinking. In 2010, sanctions slashed Iran's oil revenue from $120 billion to $80 billion, i.e. 6.6 billion a month, whereas in February, 2011, it shot up to $10 billion as a result of Middle East unrest. Early Saturday, Tehran gave the oil market another nudge by knocking Iraq's biggest refinery out of action just hours after clashes with anti- government rallies left nine dead in three North Iraqi towns. Prophecy Sign: Read Ezekiel chapter 38 and 39. In those chapters you will see the Lord tells us that in the last days Israel will be attacked by Russia and her allies from the Northern quarters. Why do you think Russia is arming their ally Syria? Why do you think that Russia has part of her fleet docked in Syria, and why do you think that this past week Iran, one of the nations listed in the Ezekiel war with Russia has moved some of her ships to Syria? Can you not see the handwriting on the wall? What is coming is no mystery for those who are in Christ Jesus, for we are wise to these events because of the Word of God. For some of you, you may elect to wait to see if this war takes place before you receive Jesus as your Lord. This is very dangerous because the Christ could go home to our Christ at any time. I promise you, you will see these wars as God never lies. For those who want to wait, please copy think and keep it and mark the date I showed you this. When you see the Psalm 83 war in which Syria will be destroyed and then see the Ezekiel war that will follow, I pray at that time you will drop to your knees and ask Jesus to become your Lord and savior. Despite Israeli fears that the rockets could ultimately land in Hezbollah hands, the Russian Defense Minister says plans to sell the rockets are moving ahead. Russia will press ahead with plans to sell anti-ship cruise missiles to Syria despite Israeli concerns, Defence Minister Anatoly Serdyukov was quoted as saying on Saturday. Russia planned on selling two surface-to-air rocket units armed with P-800, or Yakhont, missiles to Damasacus in a deal worth $300 million, Russian media previously reported. Russian Defense Minister Anatoly Serdyukov speaks before voting at Russia's Federation Council, the upper house of parliament, in Moscow, Russia, January 26, 2011. Prophecy Sign: Revelation 9:21 One of the key scriptures that informs us our generation is the last generation Jesus was talking about can be found in Revelation 9:21. The words “magic arts” in Revelation 9:21 is the Greek word pharmakia from which comes our word “pharmacy”. It signifies the use of medicine, drugs, spells, such as those used in witchcraft and those used today by those who are seeking a greater “high”. There is no question that this generation is the drug generation. Below is just one small example of what is happening. SACRAMENTO, Calif. (CBS13) — CBS13 takes you behind closed doors to get a look at a new business opening up in Sacramento that’s being called the “Wal-Mart of Weed,” and they’re hoping to make the city the new cannabis capital. KOVR’s Mike Dello Stritto was in Arden-Arcade late Thursday night where workers at the weGrow hydroponics warehouse were getting ready for their grand opening on Saturday. Non-stop preps for 10,000 square feet of medical pot products are underway. They say it’ll be the biggest business of its kind in northern California. But they’re not selling pot at weGrow. “We do not sell any medical marijuana here,” said Mike Garcia, a spokesman for the store. But it’s there – you can see it, and smell it. “It’s just here for display, nothing in here blooms,” said Garcia. Garcia said the store offers “the different levels of how to grow your medical cannabis,” from fertilizer to getting the finished products, and everything in-between. There are products like “Big Bud” and “Bud Candy.” Then there’s “Piranha” and “Tarantula,” pot plant food, both of which will take a big bite out of your wallet at a cost of $327.42. Watch video on the weed, click to link below. Prophecy Sign: Matthew 24:7 "many earthquakes"
Matthew 24:7 many earthquakes: "There was a 3.2-magnitude earthquake at 6:18 a.m. local time this morning near Greenbrier, Ark., the U.S. Geological Survey reports. That's in the north central part of the state. But that's hardly the whole story. Since Sunday, USGS says, there have been more than 50 earthquakes in that area. And, local station KATV reported yesterday, there have been more than 700 in the past six months.VIDEO: More Earthquakes Shake-up North Central Arkansas". Every time I hear news like this it reminds me of God's curse found in Genesis 12:3. In verse 3 we are told the Lord will destroy anyone who divides up Israel. President Obama is in the process of trying to split Israel in two by making a Palestinian State with in Israel.Is this a warning that the Lord is getting ready to split up the Earth in the US via a huge earthquake. Keep your eyes on the faults in the Midwest! Here are the latest quakes for Feb. 26, 2011. Many people what to know if President Obama is a real Christian, or is he really following Islam? Only Jesus knows for sure however, Paul told us we would know a Christian by his or her fruits. A person's actions shows us much more than ones words. Once again we see Obama is doing the exact opposite of what the scriptures teach us. If God warns not to divide up Israel , and he is working to do just that what does that say to you? If the Lord teaches that a marriage is that of a man and women, and then Obama violates this teaching by ordering not to defend the marriage law, what does this show you about the man? It tells me we need to go before Christ and pray for Obama in the hope that Christ will show Himself to be real, and have Obama turn back to the Lord's teaching so America can be blessed again. "In an exclusive interview with Newsmax.TV Friday, former House Speaker Newt Gingrich said President Barack Obama’s decision not to fully enforce the Defense of Marriage law eventually could lead to a constitutional crisis, as he has directly violated his constitutional duties by arbitrarily suspending a law. Gingrich even suggested that, if a “President Sarah Palin” had taken a similar action, there would have been immediate calls for her impeachment. Asked directly whether President Obama could be subject to articles of impeachment, Gingrich said, “I think that’s something you get to much later. But I think clearly it is a dereliction of duty. Clearly it’s a violation of his constitutional oath. Clearly it is not something that can be allowed to stand." Read more on Newsmax.com: Gingrich: If Palin Took Obama Actions, There Would Be Calls for Impeachment Important: Do You Support Pres. Obama's Re-Election? Vote Here Now!" Mexico quake/Attack will come from the North/Jordan is added to the unrest today/More news for Feb. 25, 2011 Israel debates END TIMES, Rev. 6:6 news/Something is going on/Another storm. Prophecy Sign: Psalm 83 war and the God Magog war found in Ezekiel chapters 38-39. Prophecy Sign: More news pointing to Revelation 6:6 where see people have to work all day for one small meal. Feb. 24 (Bloomberg) -- Corn supplies will stay tight in the U.S., the largest grower and exporter, even as greater planting spurs record production, the U.S. Department of Agriculture’s chief economist said. Soybean and cotton crops may also increase. Farmers will harvest a record 13.73 billion bushels of corn this year, up from 12.447 billion last year, on 92 million planted acres, Joe Glauber, the economist, said today at a USDA forum near Washington. Greater demand for livestock feed and ethanol will limit gains in stockpiles next year, after dropping to the lowest level since 1996, he said. Prices are up 80 percent in the past year on the Chicago Board of Trade. Tighter supplies helped boost global food costs by 25 percent last year, reaching the highest ever last month, according to the United Nations. Rising demand also is helping to boost net-farm income in the U.S. by 20 percent this year to a record $94.7 billion, the USDA said earlier this month. U.S. farm exports will jump 25 percent to a record $135.5 billion in fiscal 2011, Glauber said today. Prophecy Sign: Ezekiel war found in Ezekiel chapter 38 and 39, and the Psalm 83 war. “Second Suspected Syria Nuclear Site Is Found” WASHINGTON—A second suspected nuclear installation has been identified in Syria, according to commercial satellite photos, providing new evidence that Damascus may have been pursuing atomic weapons before a 2007 Israeli military strike. Prophecy Sign: Luke 21:25 "roaring of the seas and waves", (Storms). Are you watching the storms? My latest show at The Edge will air today Feb. 25, 2011. Envoys from the United States, the United Nations, the European Union and Russia are hoping to hold separate meetings with Israeli and Palestinian negotiators to try to revive peace talks, the UN's Mideast coordinator said Thursday. Robert Serry said the so-called Quartet of Mideast mediators has proposed meetings with the two sides on all core issues blocking a peace settlement. They include borders of a Palestinian state, security arrangements, the fate of Palestinian refugees and the status of Jerusalem. "I hope very soon the Quartet envoys will be meeting separately with the parties - that is something new," he told reporters after briefing the UN Security Council. "We are at the moment seeking confirmation from both sides that they are willing to meet the Quartet envoys next week in Brussels." Serry said the separate meetings would precede a meeting of Quartet leaders in mid-March, "probably in the margins of a meeting in Paris." He again warned the council that "the credibility of the international community including the Quartet" is at stake in 2011. Serry said it is urgent that the Quartet respond and "engage the parties in serious talks, including on substance, and support them in finding ways back to the negotiation table." The United States has tried but failed to get the two sides back to face-to-face negotiations that would culminate in a peace settlement and the establishment of a Palestinian state. Both sides have agreed to President Barack Obama's target date of September 2011 for an agreement, but negotiations collapsed weeks after they restarted in September because Israel ended a 10-month moratorium on settlement construction. The Palestinians insist they will not resume peace talks until Israel halts settlement building in the West Bank and east Jerusalem, lands Israel captured in the 1967 Middle East war which the Palestinians want for their future state. 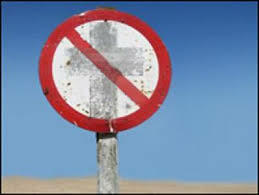 Prophecy Sign: Civil unrest spread these are the signs of (kingdom against kingdom) Jesus warned about in Matthew 24: 7. Prophecy Sign: Ezekiel 38: Listed below are the nations which will attack Israel from Ezekiel chapter 38 and their modern day names. The map shows nations attacking Israel. Put was also a descendant of Ham; he was the third son of Ham (Genesis 10:6). Libya is the translation of the original Hebrew word, Put. We know the descendants of Put migrated to the land west of Egypt and became the source of the North African Arab nations, which are Libya, Tunisia, Algeria, and Morocco. Put, therefore, is what we know as our modern day Libya but can include Tunisia, Algeria, and Morocco as well. My radio/video show is up and running now. Just click to link below to watch all my shows. My latest show which was aired on Feb. 18, 2011 is still running. Prophecy Sign: Looks like the Psalm 83 war is coming faster than you think! Palestinian sources reported that the Israel Air Force retaliated late Wednesday with an airstrike in eastern Gaza City, wounding three Islamic Jihad militants. The IDF confirmed the airstrike. Two Grad rockets were reportedly fired at Be'er Sheva on Wednesday evening, but so far only one missile is known to have landed in the city, which hit a building in a residential area of the city, causing damage, marking the first time Be'er Sheva was hit since the Gaza war in 2009. An explosion from an Israeli missile strike in the northern Gaza Strip on Dec. 27, 2008. The IDF reportedly carried out additional retaliation later Wednesday night, launching airstrikes in multiple other locations along the Gaza Strip against militants. Prophecy Sign: God’s curse found in Genesis 12:3. And I will bless those who bless you, And the one who curses you I will curse And in you all the families of the earth will be blessed." Is it merely a coincidence that less than a week after Libyan leader Muammar Gaddafi threatened Israel by calling on Palestinians to capitalize on the wave of popular uprisings in the Middle East by massing peacefully on the borders of the Zionist state, his own regime is teetering on the brink of extinction following massive anti-government riots in Benghazi and Tripoli? On Sunday last week, Gaddafi urged the Arab world to revolt against Israel during a speech on state television. Low and behold, just days after Gaddafi’s very bold threat to seize on the wave of revolutions as a means of toppling Israel, Gaddafi himself is forced to flee Tripoli as protesters burn down government buildings and take control of entire cities. This tells you an awful lot about who is really behind the wave of revolutions sweeping the region – the US military industrial-complex that kick-started them in the first place. Prophecy Sign: Matthew 24:7 Civil unrest or (kingdom against kingdom). The latest news concerning the riots in Libya. “Libya (AP) - Army units and militiamen loyal to Moammar Gadhafi struck back against rebellious protesters who have risen up in cities close to the capital Thursday, attacking a mosque where many had taken refuge and battling with others who had seized control of a local airport. He said there were casualties, but couldn't provide exact figures. He said a day earlier an envoy from Gadhafi had come to the city and warned the mosque protesters, "Either leave or you will see a massacre." Darren, I have written you 3 times and the emails keep coming back to me. I am emailing to the address on my email that you sent. I just sent another one to you and if you don’t get that something is wrong with your email, and it won’t let my email to you in. Hi Frank, Darren Weekes from Australia, i hope you are well. I was just wondering why you havn't answered my email's i sent you. Is everything ok? I hope so. Dear oh dear, New Zealand is in a bad way. God bless and hope to hear from you soon. Regards, Darren. Considering the prices of food are skyrocketing and the price of oil is not close to $100.00 a barrel which will only drive the prices of everything even higher you might want to prepare for what is coming. Here is some information on how to store food. Want to be kicking myself in the behind because I have lost food due to one of Those Critical factors mentioned at web site. SUVA, Fiji—A strong 6.4-magnitude earthquake has struck in waters south of Fiji. There are no immediate reports of injuries or damage and no tsunami warning has been issued. Prophecy Sign: The coming Psalm 83 war. "Grad rockets were fired at the southern Israeli city of Be'er Sheva on Wednesday, several hours after the Israel Defense Forces fired at a group of militants on the Gaza border, wounding 11. Palestinian sources reported that the Israel Air Force retaliated late Wednesday with an airstrike in eastern Gaza City, wounding two Islamic Jihad militants." "Are Arab leaders being punished for religious persecution? Prominent rabbis offer explanations for Mideast uprisings"
Daniel's Chapters 2 and 7 shows us that the US is not a major player in the last days. Not one sentence was give to anything about the US, Why? Because by the time the revived Roman Empire takes over as the last world empire the US would have already fallen away as a superpower. Here is another sign how the US is declining. “Facing a budget crisis, the Providence, R.I., school district has issued dismissal notices to all 1,926 of its teachers, leading Providence Teachers Union President Steven Smith to compare the educational bombshell to Pearl Harbor. "This is beyond insane," Smith said, according to The Providence Journal. "Let's create the most chaos and the highest level of anxiety in a district where teachers are already under unbelievable stress. 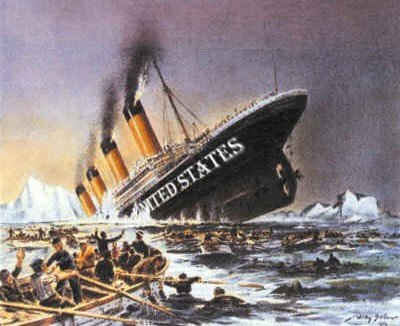 Now I know how the United States State Department felt on Dec. 7 , 1941." Read the rest of the report to find out why that had to do this. Sound track problems in video below, but you can still listen to all that is happening. “Howard then allegedly chased after Wanke with a pair of scissors, police were told. Howard ditched the cutting implements, however, and instead picked up a board and whacked Wanke. The fight moved into the kitchen, where Howard allegedly hurled her heft at Wanke again. As they fought, Howard bit Wanke's breast and struck her several times. Wanke's husband once against separated the pair, and kept Howard restrained until cops arrived, police said. Howard was charged with aggravated battery with a deadly weapon”. Prophecy Sign: Revelation 6:6 shows us people will be working all day long for one small meal which will be just about enough to feed one person. Prices are skyrocketing and we are on the path to fulfill this prophecy. “U.S. livestock prices may reach records in the next two quarters as farmers reduce herds while China imports the most pork since at least 1992 and the largest amount of beef in three years, according to Societe Generale. Lean-hog futures will climb to a record $1.10 a pound in the second quarter and live cattle prices will be at an all-time high of $1.30 a pound by the third quarter, Societe Generale SA said in a report. The bank correctly forecast higher grain prices in May. Chinese imports of pork will gain 5.7 percent in 2011 and beef purchases will advance 43 percent, U.S. Department of Agriculture estimates show. "Thousands of people have gathered in the Indian capital, Delhi, to take part in a rally to protest against rising food prices and unemployment. A steady stream of protesters, carrying red flags, has been marching through the streets of central Delhi since early morning. The rally has led to massive traffic jams in the city. 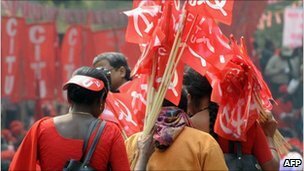 Trade unions who have called the rally say nearly 40,000 people will attend a meeting at the Ramlila grounds. Thousands will then march to parliament, they say." Prophecy Sign: More signs of kingdom against kingdom as seen in Matthew 24:7. Now Greece is acting up again! “ATHENS, Greece (AP) - Young demonstrators hurled rocks and fire bombs at riot police as clashes broke out Wednesday in Athens during a mass rally against austerity measures, part of a general strike that crippled services and public transportation around the country. Police fired tear gas and flash grenades at protesters, blanketing parts of the city center in choking smoke. Thousands of peaceful demonstrators ran to side streets to take cover. A police officer was attacked and his uniform caught fire in the city's main Syntagma Square, and his motorcycle was burned. Civil war has broken out in Libya. “Stop him now, immediately, with full force, before it’s too late. 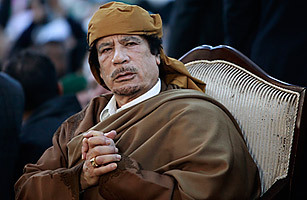 The enlightened world must pursue Muammar Gaddafi, detain him, and not kill him right away. He must first be put on trial for cold blooded genocide. What Saddam Hussein, who killed thousands in Iraq, deserved, is also what “Colonel” Gaddafi deserves. There is no forgiveness and there are no excuses: A man who hired mercenaries and paid them thousands of dollars a day in order to kill his own citizens, and who ordered Libyan Air Force planes to bomb the despaired, frustrated and unemployed people who hit the streets because they have nothing to lose must pay a heavy price. The world’s silence in the face of the massacre is horrifying. Everyone saw the horrific images, yet it took the leaders four days to “be shocked,” and another day passed before they decided the time has come to resort to condemnations. Why the hell are you indifferent? Just give him the chance, and Gaddafi will murder the entire six million. Does that remind of you something? More civil unrest in Egypt today. "CAIRO Feb 23 (Reuters) - About six vehicles were set on fire outside the Interior Ministry in Cairo on Wednesday, and witnesses said the blazes were caused by disaffected police officers demanding their jobs back. Officials were not immediately available for comment. A security source earlier said a fire had erupted at a building used to store criminal evidence near to the Interior Ministry." As oil prices race toward $100 a barrel, the expectations that gasoline prices will make a leap are running high. Some traders say $4 a gallon will be a reality in the not-too-distant future, and prices could shoot even higher. But that might be the exception rather than the average in the United States this year unless the Middle East unrest spreads to Saudi Arabia or another major oil producer, according to Thomas Kloza, chief analyst at OPIS. Looks like the civil unrest may spread to Saudi Arabia next. "DUBAI, Feb 23 (Reuters) - Hundreds of people have backed a Facebook campaign calling for a "day of rage" across Saudi Arabia next month to demand an elected ruler, greater freedom for women and release of political prisoners. The page called for a "revolution of yearning" on March 11 in the kingdom, the world's biggest oil exporter and which is ruled by an absolute monarchy. More than 460 people had endorsed the page by Wednesday morning, but it was impossible to verify how many of them were inside Saudi Arabia or whether any protest would materialise." Prophecy Sign: Matthew 24:7 Famines and diseases: “TOKYO - North Korea recently took the unusual step of begging for food handouts from the foreign governments it usually threatens. The request has put the United States and other Western countries in the uncomfortable position of having to decide whether to ignore the pleas of a starving country or pump food into a corrupt distribution system that often gives food to those who need it least. The United States, which suspended its food aid to North Korea two years ago amid concerns about transparency, "has no plans for any contributions at this time," said Kurt Campbell, the State Department's top East Asia official. Prophecy Sign: Matthew 24:7 Christ warns about the many earthquakes that will come in the last days. Prophecy Sign: Luke 21:11 is the sign of fearful sights: “Thousands of people in the Philippines fled their homes as a volcano erupted on Monday, sending a spectacular column of ash high into the sky, residents said. The eruption of Bulusan, a 1,559-metre (5,115-foot) volcano, turned mid-morning into night for about 20 minutes across largely farming areas around its slopes”. Prophecy Sign: Footsteps to the Psalm 83 and Ezekiel 38 wars. Prophecy Sign: Matthew 24:12 Christian persecution: JERUSALEM – In what Egypt's Christians fear may be a sign of things to come, a senior Islamic cleric asked Christians to bow in Muslim prayer in an act of submission to Allah. Here is another report showing you Israel is being left alone just as Zech. 12:3 warns us. I quote, “Israel can no longer rely on the White House and must trust only itself due to a lack of leadership on the part of President Obama, declared a Knesset member from Prime Minister Benjamin Netanyahu's ruling Likud party. Danon was speaking in an interview with reporter Aaron Klein in the latter's investigative program on New York's WABC Radio. Prophecy Sign: America not in any prophecy showing she will be a world empire or any kind of power in the last days. #10 China has now become the world's largest exporter of high technology products. #12 The United States now has 10 percent fewer "middle class jobs" than it did just ten years ago. #15 Back in 1998, the United States had 25 percent of the world’s high-tech export market and China had just 10 percent. Ten years later, the United States had less than 15 percent and China's share had soared to 20 percent. #21 Ten years ago, the "employment rate" in the United States was about 64%. Since then it has been constantly declining and now the "employment rate" in the United States is only about 58%. So where did all of those jobs go? CHICAGO (Reuters) - Wal-Mart Stores Inc's attempts to fix sales at its U.S. discount stores are taking longer than expected as the world's largest retailer loses shoppers to lower-priced dollar stores. The retailer reported its seventh straight quarterly decline in sales at U.S. stores open at least a year, posting a 1.8 percent drop that was much bigger than the company's worst expectations. Wal-Mart shares fell more than 3 percent, despite reporting earnings that beat analysts expectations. U.S. sales are also still being hurt by a poorly executed decision, since reversed, to pare down the number of items Wal-Mart offers. Dollar Stores such as Family Dollar Stores Inc and Dollar General Corp have gained appeal with shoppers on tight budgets by offering lower price points -- albeit for smaller quantities -- on goods such as detergent, especially as those shoppers run out of money at the end of the month. “State education officials have ordered Robert Bobb to immediately implement a financial restructuring plan that balances the district's books by closing half of its schools, swelling high school class sizes to 60 students and consolidating operations. This week, Bobb, the district's emergency financial manager, said he is meeting with Detroit city officials and will set up a meeting with Wayne County Regional Educational Service Agency to discuss consolidation opportunities in areas such as finance, public safety, transportation and other areas. Bobb also is preparing a list of recommended school closures and Friday said layoff discussions are under way and would be announced closer to April, when notices would be issued. "We are moving forward with the plan," he said "Right now my focus is on my transition plan and the DEP (deficit elimination plan)." 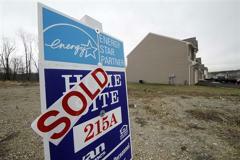 “WASHINGTON (AP) -- Home prices in a majority of major U.S. cities tracked by a private trade group have fallen to their lowest levels since the housing bubble burst, and analysts expect further declines this year. Another rumor of war! “Tehran could activate Hezbollah forces to attack Israel along the northern border in an effort to stave off domestic pressures within Iran, according to assessments in the IDF’s Northern Command. The concern within the army is that if the regime in Tehran feels under pressure due to anti-government demonstrations it will try to initiate an attack on an Israeli target – either overseas or near the border – to divert attention from its own troubles”. I will be interviewing Dean Braxdon on my radio show this Thursday. You will find this interview very interesting as Dean will share with you what happen to him while he was dead for over an hour. This story is backed up my medical records. My latest show at The Edge is still running at The Edge Feb. 18, 2011. Prophecy Sign: Matthew 24: 7 is the sign of civil unrest in the last days and there is no question that this prophecy is in one of the worse birth pains in a long time. Bahrain is a oil rich nation and an American ally. Why is the American 5th fleet stationed in Bahrain? The US gets oil from this nation, that why. The government of Bahrain today, the one Obama is standing behind. These past few days both Secretary of State Hillary Rodham Clinton and White House, spokesman Jay Carney's message was similar. They both made statements that the Obama Administration stands behind the Bahrain government. The US, that's naval fifth fleet stands by watching in an effort to protect oil price fluctuations, has gained conspicuous silence on peaceful protesters being mowed down in hails of gunfire rings loudly. The tiny population is being massacred, even western reporters are not spared, and we may well ask - Where are the UN soldiers? Press TV talks with Afshin Rattansi novelist and journalist from London about the unfolding events in Bahrain and on the Britain's role in this tragedy over the decades. Prophecy Sign: As you know from Ezekiel chapter 38 we know that Iran and Israel will have a show down. Of course when this war breaks out Iran will not be alone. She ill be lead in by Russia and many allies. For the past two years Israel has warned she will take out Iran’s nuclear weapons program. All of this news points to that coming war found in Ezekiel. Fox News just covered a story they entitled, “Iran’s ticking time bomb”. Prophecy Sign: Also found in Matthew 24:7 is the sign of many earthquakes. Today there is more news about the many quakes going on in Arkansas.